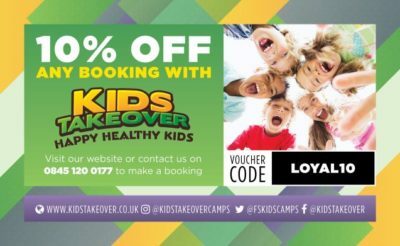 Blog » Kids Takeover Camps – Mumbler Review & 10% Off! 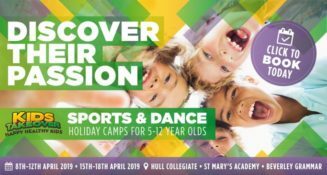 The next Kids Takeover Camps will be during the Easter Holidays. They have some changes to the camps for 2019 so here’s all about them and details about the 10% offer……. We’re extending the main Kids Takeover Camp sessions by two hours. The new sessions will run from 9.30am – 4.30pm each day, instead of 10.30am – 3.30pm. In addition, the wraparound care timetable is changing. Instead of two separate sessions (8am – 10.30am and 3.30pm – 6pm) wraparound care will now be available as a single package, and will extend the day to 8am – 5.30pm. The pricing structure is also changing. To reflect the longer day, main sessions will now be £16 per day (up from £12). Wraparound care will be £8 per day (instead of £6 for each wraparound session). For a full day with wraparound care, the price of a day will remain the same, at £24 per day. The primary reason behind the change is to make the programme more flexible, for the benefit of working families. We’ve listened to your feedback, and understand that the previous timetable simply didn’t fit in to the average working day for many parents. The new extended timetable is designed so that fewer parents need to book wraparound care – providing more flexibility, and solving a common headache in the holidays. For those that do want an earlier drop off / later pick up, we’ve streamlined the wraparound care into a single session to make things simpler. The second reason for extending the day is so that we’ve got extra time to run more activities with the kids. Those extra two hours open up a number of opportunities to extend the programme and the types of activity we can offer throughout the day. Apart from these changes, everything else will remain the same! We’ll still be keeping children entertained and safe during the school holidays at a fraction of the price of childcare – providing jam-packed, varied days to keep them active and busy whilst you’re at work. To book your kids in for Easter 2019, head over to our website here.